It is a great habit to floss teeth regularly. It becomes more of a necessity if your teeth are wired up with braces. 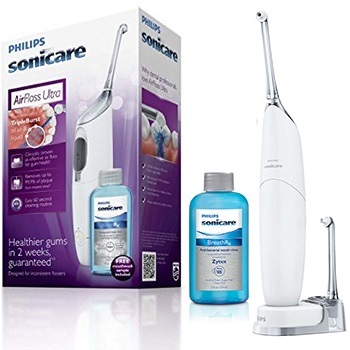 Toward the fulfillment of this necessity, the best water flosser for bracescould be just the companion you need. Most foods have this irritating tendency to get stuck between the teeth. It only becomes a little tenser with braces. You cannot expect regular brushing to remove all these food particles. So, we can do with a little assistance from a flosser. String flossing is not always practicable with braces. My observation says water flossing is the best flos option for everyone wearing braces. 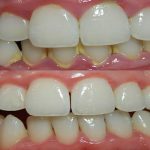 You would like to know what exactly water flossing does to braces. It starts with breaking down food that is stuck in your braces. The advantage with a water flosser is you can effectively exert the right amount of pressure to and fro to clean plaque. With perfect technique you can use a water flosser to clean below and all around metal braces. Just as importantly, the water flosser will save you dearly valued time. All it takes is 2 or 3 minutes daily and your teeth are cleaner than ever. I know string flossing comes with issues of its own. And like me, even the manufacturers understood your pain. As a result, you have a number of water flossers in the market today. However, finding the best water flosser is never a cakewalk. For your convenience I did the research. 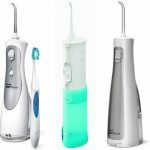 Join me as I review my top 3 water flossers that are specially made for braces. The WP-900 is among the best flossers for braces and orthodontics. It promises you healthier gums in just 14 days. 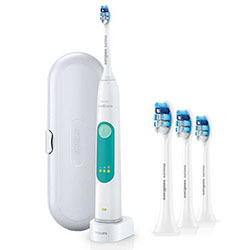 The water care flosser makes use of an arrangement of pulsations and water pressure to help drive fluid into places inside the mouth where regular brushing or flossing cannot reach. It basically sums up al flossing needs into just one device. On top of that, it comes with powered technology to help you achieve more in less time. 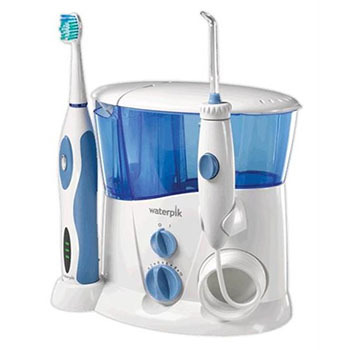 Waterpik has made special considerations for use with braces. The plaque seeker tip and the orthodontic tip of the device have been specially built for additional flossing with braces. The standard brushing head that ensures cleaning all over, also works well with your braces. On the whole, the performance of the flosser doubles up when you are using it on braces. You can fill up the reservoir and bring it to use. For sensitive care, use lukewarm water. Plaque seeker and orthodontic tip. Removes plaque between braces and teeth. Two jet tips, orthodontic pocket, pick pocket. The AquarisWP-660is a simple and effective way to floss. 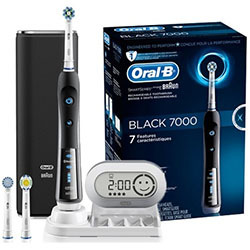 It promises you whiter teeth and healthier gums in no more than a day. 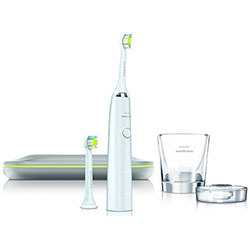 The pressure performance has been enhanced and there are separate massage and floss modes. You also have ten different settings for pressure control along with 7 tips for water flossing. In combine, these features give a pleasantly long range of options to the WP-660Aquaris. Even if you have been using a Waterpik product for years now, there are some features in the WP-660 that have not been sported before. The device pauses once each in the 30 and 60 second mark to give you an indication of the flossing. There is a new feature for massaging that leaves a heartily invigorated feel in your gums. You can store both the tips under and inside the lid, without them touching the reservoir. That is the level of detailing they have imparted to the product. Effective plaque removal along with flossing. Great for implants’ especially braces. 3x more plaque removal from around braces. Better looking gums in two weeks. Not qualitatively superior to Waterpik Ultra. On/off button difficult to handle with one hand. The Airfloss Ultra could be a great custom-brace floss device owing to its unique set of features. The triple burst function of the brush initiates cleaning with just the touch of a button. The action of the flosser has gets you proven better results in flossing, especially if you are wearing braces. Also, you will note that there is a special string floss program geared at improving gum health continuously. If you can target the area well, the flossing action can remove up to twice the amount of plaque. An easy 60-second routine of cleaning can get all debris out if you just point, fill and clean the device well. The model is also great for your gum-health. Your gums feel better as you near the second week of use. The special thing about the Airfloss Ultrais in the accuracy with which it cleans braces and any spec of plaque that hides in them. Easy fill, direct and clean flossing method. Superior action on implants and braces. Very soft on gums and teeth. On/off button not very responsive. 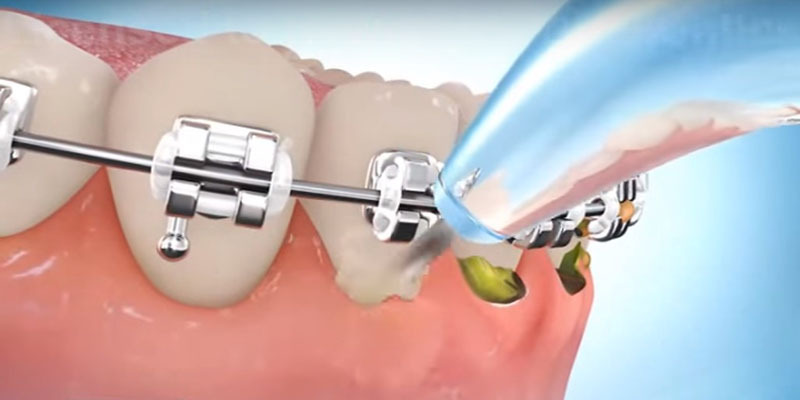 Why water flosser is essential while having braces? Wearing braces adds a new structure to the month – one that natural body cleaning is not supposed to work with. The braces also interact with everything you intake. This leaves settlements on the braces that normal brushing does not deal with. Occasional flossing may not produce persistent results. The only valid support is provided by a cool water flosser. You should naturally choose roping in a flosser that has proven effectiveness working with braces. 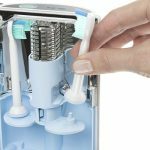 How Waterpick flosser works with braces? A typical Waterpik flosser employs a range of definitive maneuvers to help deal with braces. It would employ a separate tip each for dealing with plaque and orthodontics respectively. This enables Waterpik flossers to remove up to 99.96% plaque stuck between teeth and braces. There is an additional pick pocket tip that picks up plaque from pockets between and on the surface of teeth. Also, you will not have to learn anything new to use Waterpik flossers on braces. The operation is fairly simple. How to floss with braces? Flossing is reasonably more difficult with braces. But that cannot be a pretext to ignoring it. 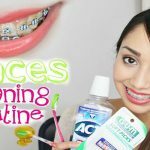 Here is a step by step method on flossing with braces. Flossing with braces requires attention and detailing on many metal pieces and corners where the floss needs to go through. The floss amount can vary. When doing this, be gentle. The aim is not the pull the brace wire with the floss. You just have to place the floss behind braces. This should feel more like a natural movement if flossing has been done before. Just try and find the crease between teeth. That removes a lot of plaque. This might seem unnecessary at the start. But flossing is also supposed to remove hidden plaque along with food crumbs. This step does just that. 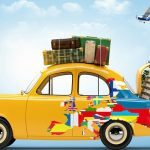 Is it necessary to take extra precaution? Flossing with thread requires you to be very cautious, since it deals with physical handing of braces and teeth with an external agent. Flossing with water based devices is very different. The operation is very simple and you just go about following the simple ‘fill-point-clean’ exercise that most water flossers follow. So if you are looking to cut out risks, it is way safer to go with a water flosser. There is nothing wrong with regular water flossing. On the contrary, the great thing about regular water flossing is you do not need to spend long hours at dental flossing removing weeks of accumulated material. Also, flossing takes care of gum health – a very important part of dental routine. This is why most dentists recommend daily water flossing for both children and adults. 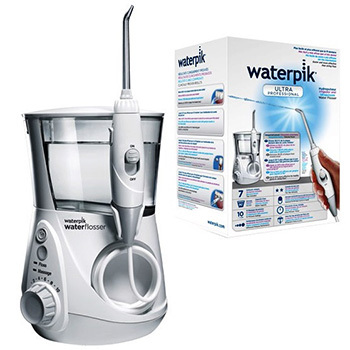 What makes the Waterpik Aquarius Water Flosser, WP-660abetter choice than the rest? 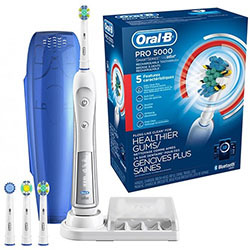 Besides the distinctive price advantage that you avail with the WP-660, the device has many features that make it the perfect flosser for use with braces. First off, the efficiency of the WP-660 in both plaque removal and flossing is way better than the rest. The more exquisite point is in the level of comfort you enjoy when dealing with brace cleaning and flossing. When working around braces, it removes up to 3xc more plaque. In all, if you are looking for a flosser to be used with braces, it cannot really get better than this. Finding a good water flosser for braces is all about addressing specific challenges. If you have understood this part, there are very less chances of getting wronged.